This week in the war, 27 March 1941, the city of Keren in Eritrea, Italian East Africa, fell to a combined force of British Army, Indian Army and Free French forces, under the command of British general William Platt. 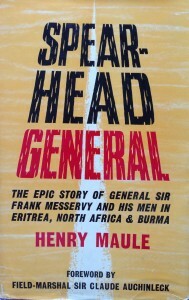 Following the loss of British Somaliland to the invading Italians in autumn 1940, General Archibald Wavell ordered Lieutenant-General William Platt to mount a full-scale campaign aimed at driving the Italian army from Eritrea and the whole of East Africa. The various Battles of Keren (three in total) had their beginning when Colonel Frank Messervy halted his vehicles before the Keren massif in early February 1941. Keren sat atop a 4,000-feet-high plateau, surrounded by gorges and ravines, turning the city into a natural and near-impregnable fortress. The defences were held by the cream of the Italian army. How Messervy’s Gazelle Force pursued the retreating enemy to Keren and how the troops of Platt’s command laid seige and finally took the city on 27 March 1941 is recounted in the book by Henry Maule, Spearhead General: The epic story of General Sir Frank Messervy and his men in Eritrea, North Africa & Burma (Odhams, 1961). The book describes repeated attacks over steep, mountaineous terrain, all in the face of enemy artillery and machine gun fire, and the ‘little red grenades’ that the Italians had available in huge quantities. Italian troops, among them, the Savoia Grenadiers, fought with great tenacity. A bagpipe tune called With Wellesley’s Rifles at Keren was composed in honour of the bravery of the Indians and Scots who fought side by side in the early phases of the battle. Because of the lack of scope for mobile troops, Gazelle Force was disbanded and Messervy took command of an infantry brigade. 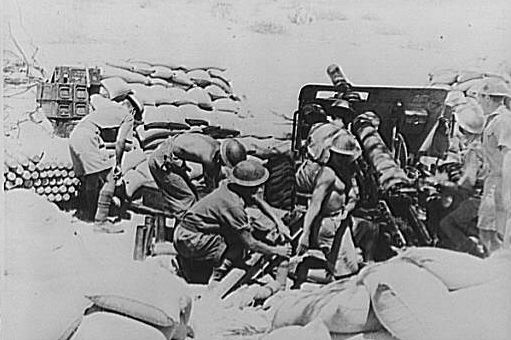 Platt’s two divisions faced an enemy of twice their strength, plus increasing casualties from battle and disease, and the sizzling temperatures that could make rocks too hot to touch. Time was running out. 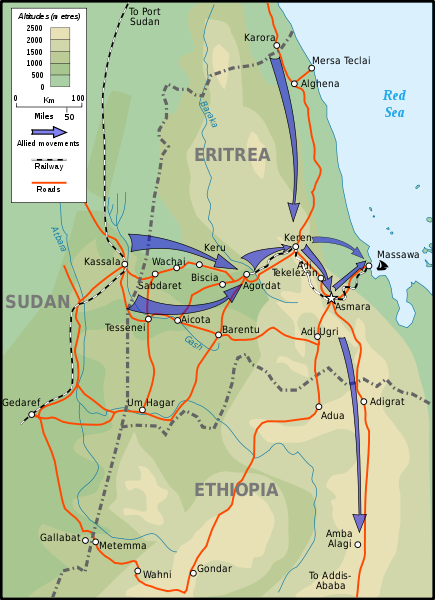 The British had to take Keren and the rest of Eritrea before the balance in Africa turned against them. Rommel had taken command in North Africa and was planning to strike Egypt from the west. Henry Maule’s superbly exciting book describes the final push against Keren, and how on 26 March the Italians, supported by tanks and artillery, made a last desperate attempt to reverse the battle by charging the Punjabi lines. The Punjabis held fast. Keren fell the next day. Many of its defenders had fought to the death. The victory at Keren was one of the most remarkable and significant of World War II. Within two weeks of Keren falling, the British conquered the whole of Eritrea. Yet all of this came at a time when Britain was still threatened by invasion and when the Blitz against British cities was at its height. Rommel was poised to conquer the North Africa. Greece and the Mediterranean seemed about to be lost. As a consequence, the victory at Keren, and the story of those who fought and died so bravely on either side, has remained, to this day, largely unknown. This entry was posted in World War II and tagged Battle of Keren, Eritrea, Frank Messervy, Henry Maule, Keren, Wavell, William Platt. Bookmark the permalink.